John Bertke lives in Dayton Ohio and enjoys visiting Tennessee. Mesmerized by the views, I didn't realize Mother Nature provided such spectacular sights. 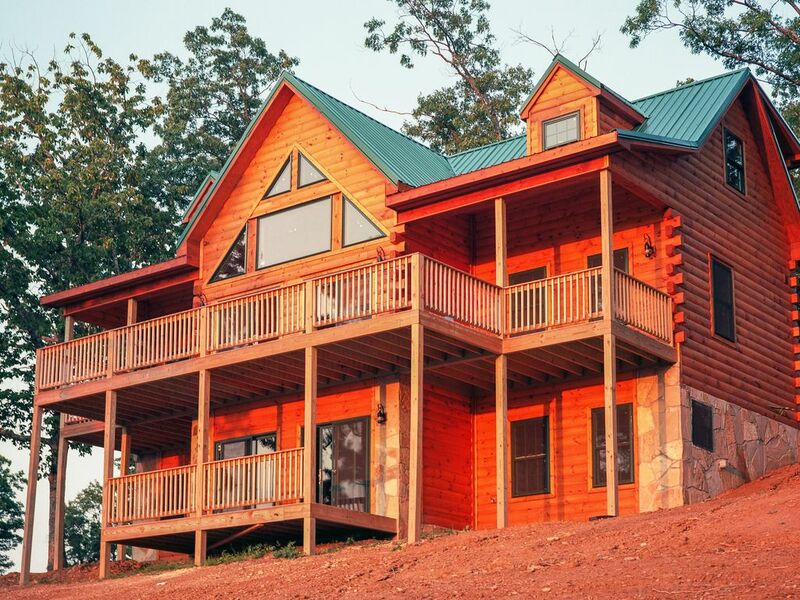 This cabin is strategically located to provide that romantic "get away from it all" feeling yet provides close proximity to many activities. Beautiful brand new super clean cabin with a gorgeous view!! The cabin was a great accommodation for us 4 guys. Stayed at this cabin to access the trails at Ride Royal Blue just a few miles away. Cabin was beautiful, new, clean, had all we needed for a comfortable and spacious stay. Drinking coffee in the morning overlooking the close and distant mountains was priceless. Neighborhood (gated community) was quiet and peaceful. Would definitely recommend this cabin for a quiet / private getaway. John, the owner was great. We had everything we needed inside the cabin and never had to reach out for anything. Great stay!! This is a great mountain place! It is a long drive up and down a steep mountain with amazing views from the porch. 30-45 minutes to get to lake area. Great place for family getaway. Brand new place with a great view! There was plenty of room for two families. Enjoyed the amazing view from the Mcloud Mountain sky bridge. Husband, brother-in-law, and kids had a wonderful day fishing at Norris Lake which was only 30 minutes away. Our families had a great stay! Enjoyed our stay at this new cabin. Great view and great location to enjoy Mt. McCloud as well as day trip to Norris Lake. This is a wonderful cabin. Perfect for a family getaway. The cabin had large rooms with plenty of space. It was well planned as to what a family might need. Beautiful views out all windows. Lots of privacy.